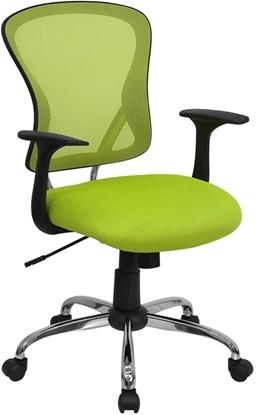 Mesh chairs are one of the fastest growing market segments in office furniture. They are stylish, comfortable, and breath well. Perfect for the home or office. Where space is tight, this mesh office chair is a great choice. This modern and stylish armless mesh chair features a 2'' thick padded seat and is available in many different colors. The WA-3074 is fully adjustable and works well with a home office desk or workstation. Get free shipping when you order today! A modern style mesh office chair at a great price, the WA-3074 is available in many different colors to match your decor. This chair features a breathable mesh back, 2'' thick padded mesh seat, durable polyurethane arms and pneumatic seat height adjustment. Order today and get free shipping! One of our best selling mid-back mesh chairs, this model features black nylon t-arms, black nylon base and pneumatic seat height adjustment. 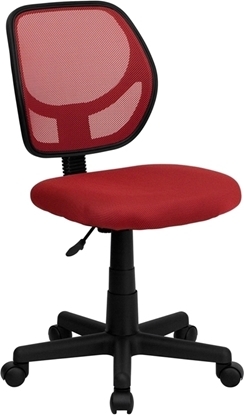 This chair is a great choice for an everyday task chair or home office computer workstation. A versatile chair that can used just about anywhere. 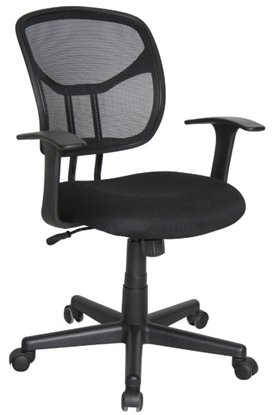 This office chair features a mesh back, Spring tilt mechanism, T-arms, and Pneumatic gas lift height adjustment. A simple mesh chair that gets the job done. 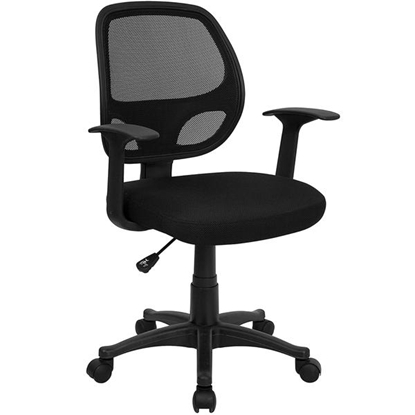 This mesh chair features molded arms, pneumatic seat height adjustment, and a single position tilt lock with tilt tension control. Cooling mesh back adds comfort with breathable fabric, ergonomically formed seat fits almost any body! One of our most popular mid back mesh chairs for home office or commercial use. 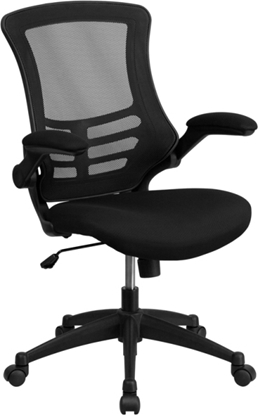 The W23 features an adjustable lumbar support, locking tilt control, and a pneumatic gas lift. Available in three modern colors; Blue, Burgundy and Grey with dark fabric accents. Order today and get free shipping! 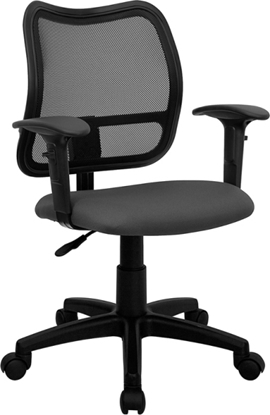 An affordable mesh back chair that features a Flex-Back that conforms to the natural curvature of the back, a well padded mesh fabric seat, and pneumatic seat height adjustment. This model works well in the office or home. Free shipping on all discount furniture. A great solution to your home or office seating needs. This chair features a breathable mesh back and black or white LeatherPlus upholstery. A mesh chair that can be used anywhere a task chair is needed. 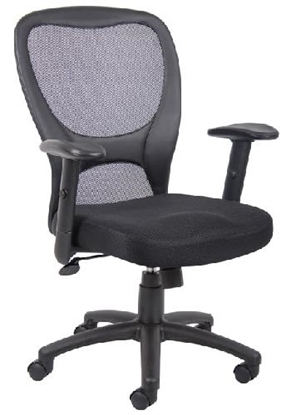 This chair features a built in lumbar support and gas lift seat height adjustment. One of our most stylish and affordable mesh back chairs, available in several designer colors. 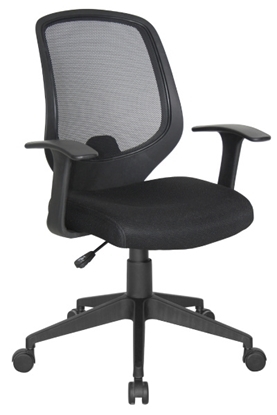 Features a thickly padded upholstered seat, tilt tension, and pneumatic seat height adjustment. Perfect for a home office or computer workstation. 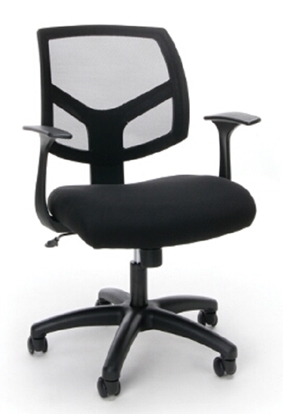 Sit comfortably while working in this office chair with a breathable mesh back design. 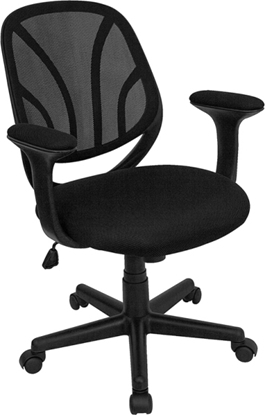 This chair features gas lift seat height adjustment and built in lumbar support. A mesh back chair with a variety of adjustment including tilt tension control, built in lumbar support and a padded upholstered seat. This office chair works great in almost any office or home office setting. Order today and get free shipping! 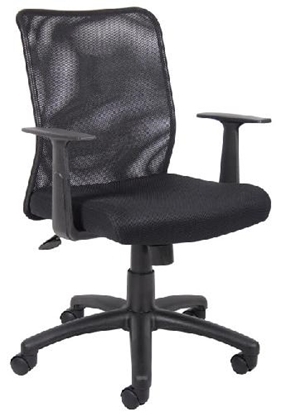 A great value mesh chair that features an ergonomically contoured back and adjustable arms. 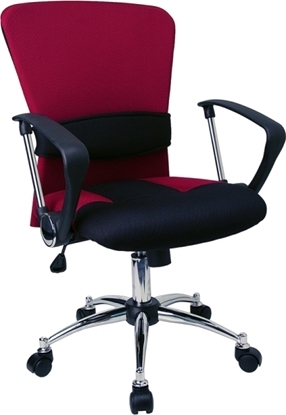 The 3'' thick fabric upholstered seat and pneumatic height adjustment. Perfect for a home office computer workstation. 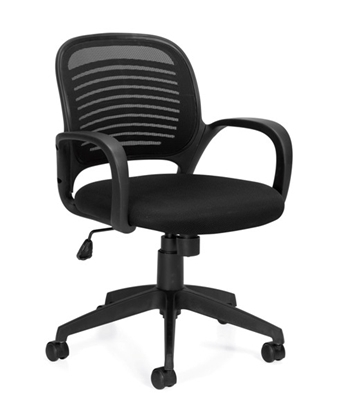 A stylish and affordable high back mesh chair that will look great with an executive office desk. 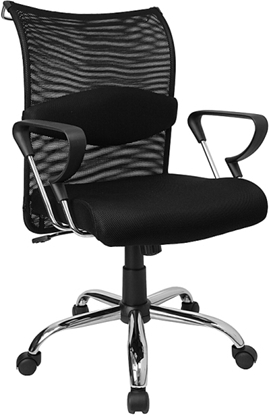 The LF-W952 features a pneumatic seat height adjustment, a locking tilt control mechanism and a chrome base. Includes durable dual caster wheels for added mobility. 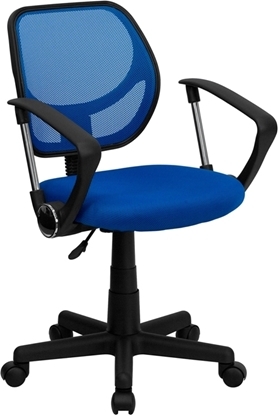 Sit comfortably anywhere you are working with this mesh back office chair. 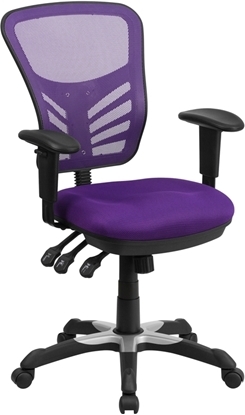 This chair features adjustable tilt tension control and adjustable height arms. Available in 10 different colors, featured in black, this mesh chair allows you to be comfortable while making a bold color statement. 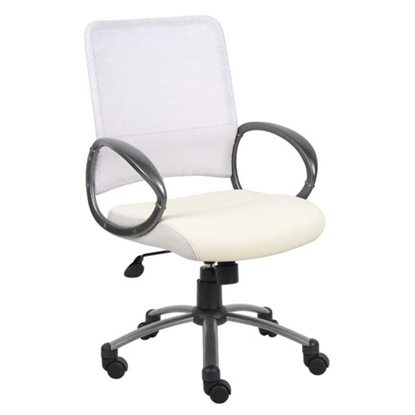 This office chair can be used for private offices, home offices, cubical settings, conference rooms, and more. Order today and get free shipping!